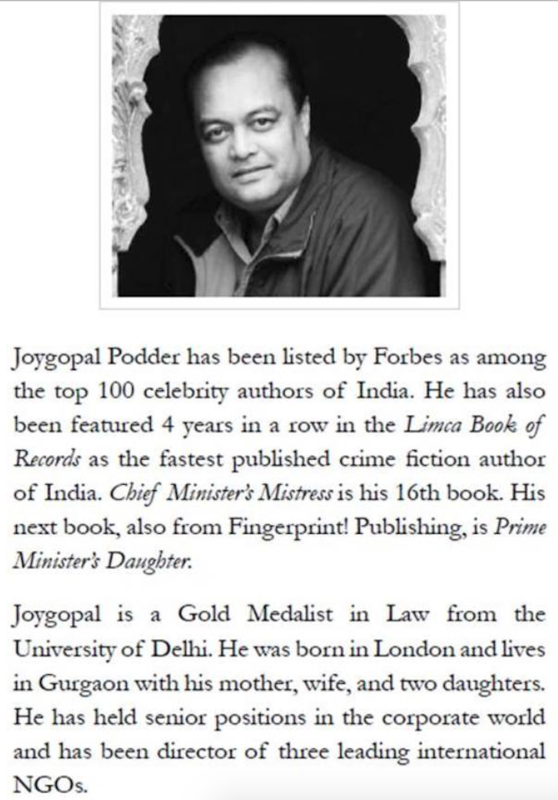 Joygopal Podder features in the Forbes list of 'top 100 Indian celebrity authors'. 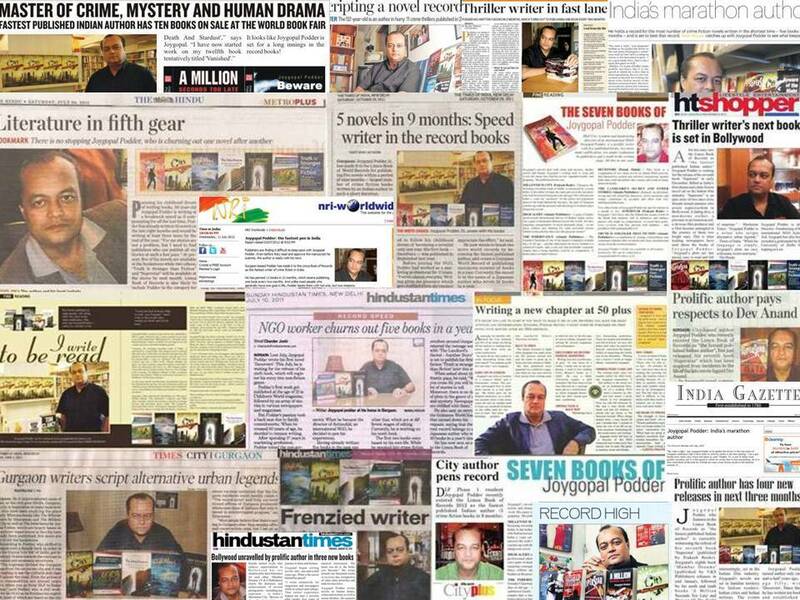 He has published 18 books out of which 16 are crime fiction, 1 is a romance comedy & 1 non fiction. 5 of his novels are based on the Indian film industry and his newest is a political crime thriller. 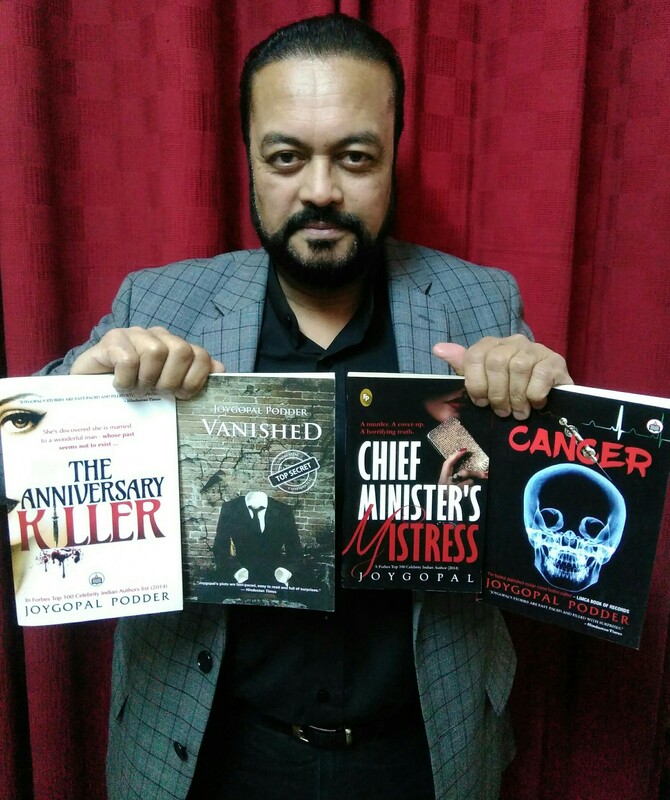 He has featured in the Limca Book of Records for 6 Consecutive years as the 'fastest crime fiction author of India'.